San Francisco is a bicycle town. Every year the number of commuters who take to the streets on pedal-powered two-wheeled transportation grows by 2% with nearly 62,000 people counting on bikes as their primary transportation. It’s good for the riders, good for the environment, and good for the traffic flow. But San Francisco isn’t exactly an easy city for bicycle commuters. Of course there are elevation changes but commuters also have to contend with tight spots where cars and bikes must compete for space on congested roadways—often with the rider losing out. One way to help prevent bicycle accidents in San Francisco is to prevent rider fatigue. A rider who is at the top of their game is more able to respond to hazards quickly, keep up with traffic flow, and avoid simple mistakes that lead to crashes. That’s where E-bikes can help. From models that add a little assist when you need it to models that can propel you effortlessly for miles, electronic bikes fill a sweet spot between bicyclist and motorcyclists in San Francisco. But if you’re trying to find the right E-bike to fit your lifestyle it can be a challenge. Below you’ll find a wide range of machines with a variety of options to suit any commuter’s needs. San Francisco personal injury attorney Sally Morin has done some looking for an e-bike herself. Is it a “cheat” or an “opportunity”? Hmmm. You decide, but here is some of the data collected in this search. This sleek e-bike features plenty of power and foldability–get where you need to go and keep your storage options open once you’re there. While designed as a functional commuter bike with a 38V lithium battery (capable of 28-38 miles per charge) it’s crafted to look like a much more aggressive trail bike with an aircraft grade aluminum frame that’s lightweight and easy to tote around. The electric motor is a 500W direct drive unit mounted on the rear wheel. It provides a reliable amount of torque for all but the most extreme needs ad is perfect for bringing the bike up to cruising speeds of 20mph (the maximum speed allowed by law for non-pedal assisted e-bikes). The 26-inch mountain bike style tires are perfect for anybody who wants or needs to take their bike off the paved path and can handle park trails, soft shoulders, and crumbling asphalt with ease. The SRAM x7 8-speed rear derailleur and 8 speed twist shifters allow you to ride comfortably in any terrain from long flats to step climbs. The Phantom X2 is also equipped with Avid disc brake system (featuring tremendous stopping power) for safety. This entry level e-bike can be found through online retailers starting at $1,500. This e-bike is a commuter’s dream machine. Its low center of gravity and sturdy frame give it a very stable ride. Despite its small footprint, this folding e-bike is fully adjustable and can accommodate riders up to 6’3” tall. It’s also foldable (though heavier than other such models at 40+ pounds) making it perfect for the urban commute. It also features a small cargo rack on the back giving you a moderate amount of storage space on your wheels. The Mariner features a front-mounted geared hub with 300W motor on the front that actually produces 500W of power at peak performance. The bike tops out at 18 mph when relying on electric power only. The 38.4V battery provides a 25-35 mile range on a single charge and fully recharges in just 4 hours—perfect for the workday. This e-bike can be found at online retailers starting at $1,300. This e-bike is geared toward the beginner—those who have never used an electric assisted bicycle before. And with a price tag of just $500 it’s also one of the most affordable options you’ll find. It’s heavier than most comparable bikes because the manufacturers use a cheaper steel frame instead of aircraft aluminum but the Shimano 7 speed rear derailleur with SRAM easy gear shifters gives you a wide range of cruising options to compensate for the weight. The 450W DC earth motor produces speeds up to 15 mph with plenty of torque so you can get up and go. However, the 24 volt SLA type battery is limited to a 15 mile range (or slightly higher for lighter riders) which is extremely short compared to more expensive bikes. There is also a “women’s” version available with a step-through frame. This mid-range cruiser offers a sleek frame and comfortable ride while providing a solid riding experience with plenty of power provided by the 500 watt rear-mounted geared hub. Capable of cruising speeds up to 20 mph and a standard range of 35-45 miles, this model also features an upgradable battery pack for commuters who need longer range. One of the downsides is that the bike is heavy—nearly 50 pounds—and only comes equipped with a 6-speed derailleur—which translates to more effort on the part of the rider. However, with a price tag of just $1,750 this bike offers a premium powerhouse at an entry-level price. This machine is definitely geared toward the professional commuter with a price tag just shy of $3,500 but you get what you pay for. This bike is an amazing hill climber with an eight speed internally geared hub mid-mounted motor capable of 20 mph. This bike is also kitted out with a bunch of commuter-friendly gear including fenders, an enclosed chain guard, gear rack, and LED lights. Designed for upright riding, the gel seat and swept back handle bars provide comfortable riding while the step through frame is perfect for men or women alike. For riders who need to bring a little cargo along on their commute, this e-bike is just about perfect. It is a low-slung, low center of gravity bike with huge amounts of torque (for hauling extra weight) and a tremendous range. Equipped with the optional heavy-duty welded cargo rack and front basket, this e-bike is a workhorse. The powerhouse is the real deal here with a 500 watt front mounted geared hub combined with a 48 volt battery. The combination offers riders 70-85 miles on a single charge and top speeds of 20 mph. This bike is capable of easily toting around up to 330 pounds! One of the biggest drawbacks though is the weight. Though this bike has a small overall footprint, it tops out at 75 pounds when fully equipped! Starting at $3,200 this machine is a serious piece of equipment for serious riders. Every year there are roughly 600 bicycle accidents in San Francisco involving automobiles. While the drivers are at fault in many of these accidents, you owe it to yourself to do everything you can to avoid them at all costs. Don’t find yourself in need of a San Francisco personal injury attorney. As always, practice makes perfect. If you’ve never been on an e-bike before (or if you’re upgrading to a newer model) you should take the time to familiarize yourself with all of the bike’s functions, controls, and safety gear. Practice riding in a “safe” place away from hazards like traffic and pedestrians until you’re comfortable with the way your new e-bike operates. And always wear a helmet. 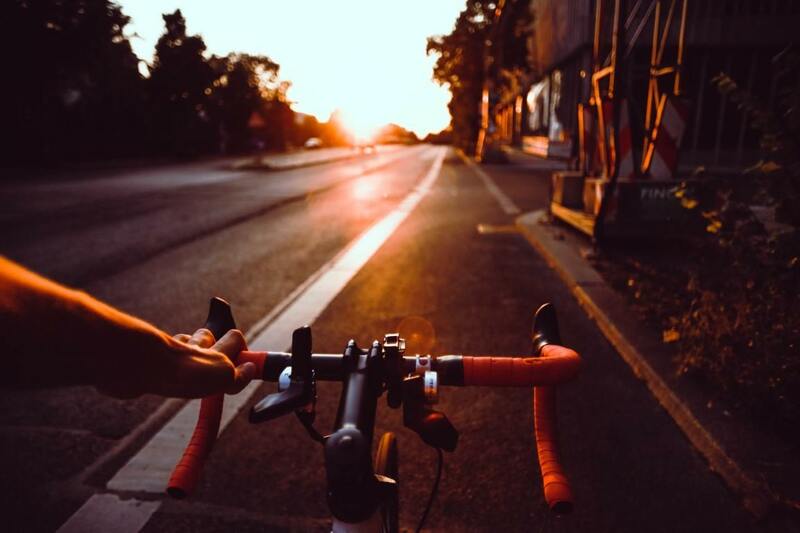 If you are one of the hundreds of unfortunate cyclists in San Francisco involved in an accident each year, contact a San Francisco bicycle accident lawyer as soon as you’re able to find out what legal options are available to you.